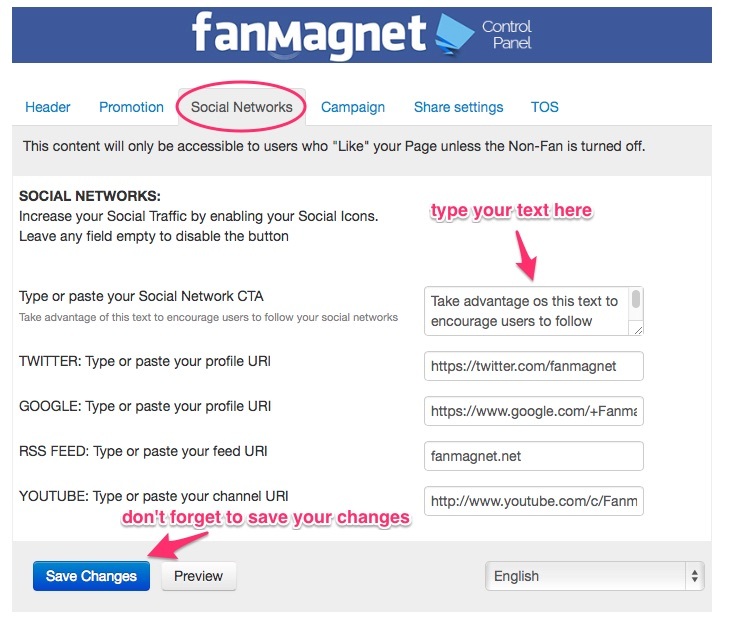 Increase your Social Traffic by encouraging users to follow your social networks by enabling your Social Icons in FanMagnet. 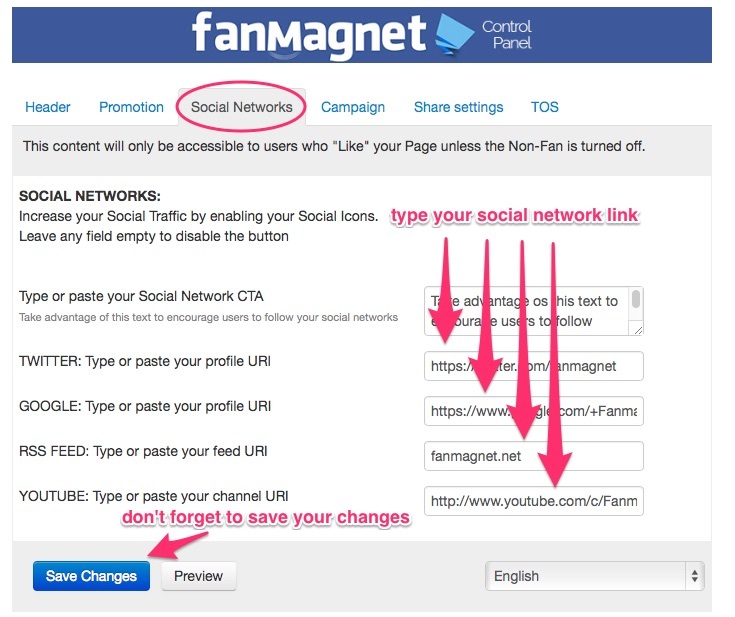 Type or paste your Social Network links, Please copy and paste each social network: TWITTER, GOOGLE+, RSS OR WEB, YOUTUBE. Leave any field empty to disable the button.